GSCSNJ Blog Space: Congratulations WAGS Robotics Team! 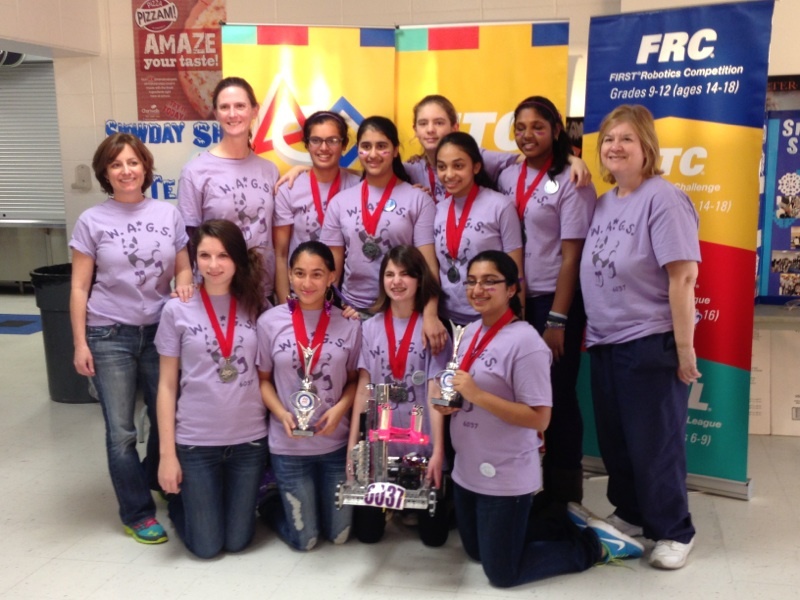 Congratulations to the nine girls of the WAGS Robotics Team! They were highly successful at the last qualifier of their season. With their wins on Sunday, January 20th, three in total, the girls will be competing at the State Championships at NJIT on February 9th. WAGS won a spot at the States on three criteria. First, on points earned on the field of play itself (how well the robot did), as a Team Alliance Captain (how well their robot played with others) and finally and most importantly, the girls won the impressive Inspire Award. This award is the top award to win in First Tech Challenge (FTC), because it covers all aspects of FTC. Below is the criteria for the Inspire Award that WAGS meet. Job well done ladies! Awesome job! Good luck at states!